Along the way he transitioned into the role of the school’s music director, believing in the idea that children should learn that music comes from real life instruments instead of boom boxes. He is passionate about teaching the children about America’s rich musical heritage — from the music of Appalachia to New Orleans Jazz, and everything in between. Along with Ann, he also teaches the children about our National Park treasures and the Earth’s natural resources. In his spare time, Rex is an avid baseball fan and served as president of the Albany Little League for six years, and for many years performed at the Freight and Salvage and West Coast Weekend the ‘I’ll Be Right Home Honey’ Band. 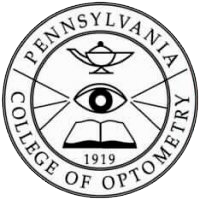 Rex studied for his undergraduate degree at West Virginia Institute of Technology and received his Doctorate in Optometry from Pennsylvania College of Optometry.